Since last few years blogging became a hobby for many teachers. Many teachers like to write blogs because they want to share their ideas and they also want to discuss different educational issues, problems in teaching, educational ideas and opinions. But when we see blogging activity in regional languages and than we look for educational blogs we see that many teachers like to write blogs in English. What are the regions behind this? 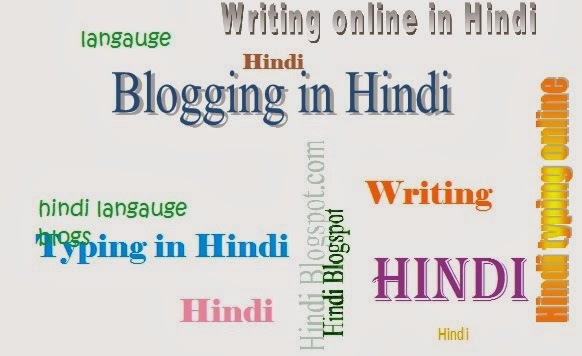 Just talk about Hindi educational blogs and bloggers who write in Hindi language. Why Teachers Prefer to Write in English? How to Write Blogs in Regional Language? When we see technological development and innovations in internet, we find that now it is very easy to write and read blogs in regional languages. Now we find a lot of websites who provide content in Hindi and other languages. So it should be easy to write blogs in Hindi and other regional languages. If bloggers start writing in their regional languages, many readers will connect with their blogs. It is true that internet provides many facilities like transliterate where user can transliterate content in other language, but it is always easy to read any blog without any extra effort. Blogging in Hindi is very easy and comfortable. Google blogger provides Google transliterate feature where user can write in Hindi. It is a very useful facilities for Indian blogger. They can write and spread their ideas through Hindi. Now internet technology make it very easy to share your ideas around the world. In coming next years when blogging will be popular among teachers, we can see a lot of advanced features in blogging sphere. Hence it is easy and nice to write blogs in regional languages because a lot of people want to read you. It is a good news for Indian internet users that scope of Hindi blogging is going to be very good. There are many internet users increased every year in India. The demand of Hindi content is going to be high, so there is a good future for Hindi bloggers. Many Indian bloggers have been doing a very nice work in this field. Teachers who wish to do nice work in blogging they have a good time to start. Hindi is a very popular language in India and abroad. It has a lot of opportunities in blogging. There are a lot of users who want to read in Hindi. In this post about writing blogs in Hindi and regional languages, these are my own ideas. What do you think on this? Please share your valuable experiences on this topic. Thanks. You are doing a nice work in Hindi blogging. IGIG Tutorials - Happy Learning. Thanks Ankita Agarwal. I am really very happy to read your informative comment on this site. You explained Active and Passive Learning very nicely and gave nice tips about "Improving the Vocabulary". This information is very useful for learners. Nowadays education is very important and technology developing to step by step .So students easily collect the information Custom essay writing service very helpful. Compared with other technologies, robotics is considered as a prestigious one among people. Robotics training is one of the important technology taken by the freshers mostly.